Dora’s departure has been changed since I originally wrote this. She’ll be taking off for the west coast on Friday, January 25th. Wednesday, January 17, 2019 – Everyone we know seems to know Dora, our Class A 39 foot Fleetwood Excursion motor home. She has been an overwhelmingly big part of our lives since 2012 when we decided to sell everything we owned and move into Dora to travel all around our beautiful country. We traveled with her through all 48 states from 2012 to 2018. In 2018 we moved out of Dora and into our small house we built in Amite. We started renting Dora out in May of 2018 and continued doing that until December 2018. She’s been up for sale since then and we recently got an offer from a wonderful couple in California to take over her notes. The husband is an RV mechanic, they both have been renting out several RVs and have a lot of experience with it. They will rent her out some and take her on the road with them when they travel. Our attorney has been involved throughout all of this process. I can’t say how wonderful he has been. We’ve also consulted with an insurance expert and another attorney. This is not a transaction we are entering into lightly. This morning Roy said words I had not thought of before. “The name of our blog can no longer be Dora and the Explorers” I almost broke down and cried. My heart ached. I know, it’s a vehicle, it’s not a person and I know it is an decision we made. Now that we are working out all of the details with the California couple to transfer Dora to them the reality is hitting me. Her Dora sign on the back has been removed. The Boots sign on the back of our truck has been removed as well. I’ve made a couple of trips over to Dora to bring supplies they will need as they drive Dora to California. Each time I’ve sat down and had a talk with Dora. Last time I told her she was going to get to live in California with a new family. I told her that was really cool. I know I am doing these silly talks to help me. From where I usually sit in the living room I see Dora out the window. Next Wednesday I won’t see her out of that window any longer. The new folks are flying into New Orleans on Tuesday. We’ll take care of the paperwork and give them the full training on all things Dora. They will drive her back to their home on Wednesday. I’ve written so many blog posts about our adventures and life with Dora. This new phase of our life will be without her and I just felt the need to share this with ya’ll! God has been with us every step of the way in our RV full-timing adventure. We live confident that He will continue leading, guiding and directing our lives. Since our blog can no longer be titled “Dora and the Explorers” we’ve been tossing about some new names. The one that is kinda sticking is “No Mora Dora and the Explorers.” Let us know what you think about that one. We’d love to get suggestions from ya’ll so if you have one please leave it in the comment section below! Saturday, October 20, 2018 – So the last rental that I shared with ya’ll was with the 3 young men who went to the races. Their photos were in the last post. They went through Outdoorsy and left us an awesome review that I just have to share! We had an absolute blast with Dora! The trip started after meeting Rosalyn and Roy at their lovely home outside of Amite. I cannot stress this enough for first time RV drivers: GET THERE EARLY! Roy and Rosalyn know their rig inside and out. There are so many bells and whistles, that it can be a little intimidating just walking in and seeing the airplane style cockpit. But like I said, Roy and Rosalyn are pros and they will patiently walk you through all of the different features on the RV. Also, read the manual before you get there. All of the information is in there and it’s better if you know a little about everything before you see it. When you do the test drive, be confident and follow Roy’s instructions. He really knows what he is talking about and will help you feel comfortable about driving the rig. The rig itself is very comfortable and has all the amenities of home. I cannot recommend renting with Roy and Rosalyn enough! Thanks so much for that you great guys! I posted on the RVShare and Outdoorsy owners facebook groups about the six part posts about our experience renting. Got some nice responses and an interesting one from a very experienced rental gentleman. They said it was okay for me to share this here so check it out! A young couple just picked Dora up for this weekend to enjoy LSU tailgating. They are experienced RVers so we’re hoping for our second straight wonderful rental. Ya’ll have a great weekend! Friday, October 12, 2018 – With all of the things happening to our renters and us having to purchase and repair so much we have made absolutely no profit off of the first five rentals and are actually in debt from them! We continue to rent hoping to at least pay the debt off! While we haven’t made any profit, renting Dora has paid the motor home’s monthly note for four months and will again this month. That’s a great thing! Some of the issues we’ve had: financial losses, all the hard work Roy has had to put into repairing Dora, dealing with Dixie RV and the insurance company’s recent issues that I didn’t even write about, and how much time and hard work it takes us to clean her inside and out each time and get her ready to go. Every time we think we’ll stop renting out Dora we start having several inquiries and more booked rentals. One thing we’ve changed is we no longer have a “cleaning fee” being charged if they do not return it in the same extremely clean condition they found it in. We found out that our version of clean and theirs is different. I want it like I want it and they think they’ve done enough to not have to pay it. We now charge a Prep and Sanitize fee up front to get it ready for the new renters. That is non refundable and is always charged up front. I learned on the RVShare Owners Facebook page that this is how other owners handle it. Another thing we’ve learned is that sometimes renters just do not understand that if there is more than two people in the motor home while they are driving, that the people in the driver’s and passenger’s seats will be quite comfortably cool and the others will not. The two roof top air conditioners do not run while you are driving, just the dashboard a/c. If the people sitting somewhere other than the two front seats want to say nice and chilly they will have to run the generator. At some point they realize that doing so will make them go over the 4 hours of free generator use per day. We’ve been fussed at about that and told our air condition doesn’t work well. That was the renter who left with four and came back with ten people! Roy did a thorough review of the air system and it works just fine, they just do not understand. We believe that people think our motor home is suppose to be like a tour bus or a Greyhound bus where everyone in the bus is sitting in air conditioning. The excess generator use is especially a problem for people who are not hooking up to utilities but are parking at places like a tailgating lot at a football game. They know they have to use the generator while tailgating if they want power, but when you add using it while you travel that’s a lot of hours and they are not happy because they have to pay for the excess use. The same renter who said our air condition didn’t work well also said the front end was badly out of alignment. When we put all new tires on her recently we had the front end aligned. No one else has mentioned this and Roy drove Dora when that rental got back and her front end is fine. A motor home is a house that drives down the road. It makes noises as it hits little and big bumps and just plain ole while she’s driving on smooth highways. She does squeak and after that rental Roy spent an entire day under her greasing up everything that could possibly squeak. She sounds better now so hopefully no one in the future will mistake some squeaks and the normal feels of driving a big bus down a highway for her needing to be re-aligned. Dora just got back on Tuesday from Dixie RV where she got a new awning (from the accident) and they buffed out the paint jobs she’s had (from the accident) and some scratches. She looks wonderful with her new awning and it makes her cooler inside which I know will make her and all future renters happy! The repairs from the accident the first renters had took 4 months to complete (since we had to bring Dora there between rentals for repairs) in 4 different visits to Dixie RV, $100 in diesel going back and forth from Amite to Hammond, and loss of one rental of $2000. We have six future rentals already booked and paid for (to the company). These six are to LSU tailgating weekends, Talladega racing this year and next, and family vacations. Two of the six are for next March and April. There are two other week long rentals that have said they are definitely renting Dora, just haven’t pushed the “Book Dora” button! Just a couple of hours ago we finished doing the walk through and training for three young men who are now on their way to the races (Dora’s not racing of course!!). Dora’s was spiffied up and all ready for them when they arrived. I’m going to wrap this one up here. This was going to be the last part. Since I want to share about the effort, time and paper work that is involved before the rental there will be a part six! Saturday, October 13, 2018 – We received this message from our current renters last night. What a wonderful message to get. I had to share it after what we shared in the last five posts! Here they are during their training on Friday. There is so much that goes into renting out Dora. To give you an idea of the effort, time, work involved, here goes! There a lot of “back office” work involved. Every time a potential renter shows interest in Dora we communicate with them. I usually communicate through my laptop but I’ve gotten pretty good at doing this from my phone when we’re away from home so they are responded to very promptly which counts. I don’t want them going on to the next RV to rent it without me giving it my best try! If they don’t actually book her we may only have 2-3 contacts. We ask them lots of questions to get a feel for if we want to rent to them or decline. If they do book and pay, we communicate with them no less than four times before they come to pick her up. We have a lot of information to pass along to them plus we send them the website contract, our personal contract with them, a form we all fill out when they pick Dora up and a form we all fill out when they return Dora. We also ask them to read one of our blog posts about driving big motor homes like Dora. We feel that the more educated our renters are the better their experience will be, and the safer Dora will be!! I communicate or am doing paperwork with either an interested possible renter on Facebook, RVShare.com or Outdoorsy , or a new renter or an upcoming renter at least some time out of every day. Some Monday mornings I am doing rental related work a couple of hours or more. We also have the 3 hour in person training where they learn all about Dora. That’s usually before the pick up date. They also get a refresher and they learn to drive Dora the pick up day. We go over every aspect of every system and feature in Dora in depth, from front to back, inside and outside. My portion of this training is much shorter than Roy’s portion. When he finishes every time we have a rental he is exhausted, mostly from all the talking and answering questions! Of all the things involved in renting Dora I think the training is the part we do the best. In the early days of the renting adventure we spent two solid weeks creating an instruction manual for the renters on all things Dora! It’s been updated after just about every rental with lessons learned and is always on the dashboard when the renters come to pick Dora up. They and all adult members of their traveling party receive a .pdf version of the instruction manual as soon as they book and then a couple of weeks before they pick her up. Sometimes we have a “come check out Dora” day or two when we open her for viewing by anyone that may be interested. Appointments are needed. It always helps interested folks make up their mind about Dora when they walk in and see how spacious she is with the slides out and how pretty our big girl is! When Dora returns from a rental the big job of cleaning her begins. All the bath towels, wash clothes, kitchen towels, sheets, pillow cases and bedspreads from three beds are collected and taken inside our house for a sanitizing hot washing, drying and folding. The pillows are sprayed with disinfectant and aired out. The bath mat and front floor mat are taken out and sanitized in the house. They are all kept inside the house until the day before the next rental when they are taken out to the motor home and the beds, etc. all made up for the next renters. All of the utensils, silverware, pots and pans, glass pans, metal pans are washed, dried and put back in the drawers, shelves after the many drawers and bathroom cabinets have been sanitized and the cabinet shelves have been vacuumed. The shower and bathroom are high priority for sanitizing and airing out! The kitchen appliances get a good scrubbing and cleaning. Even if they aren’t used they accumulate dust, grime and need to shine again! The walls, windows, sofas, countertops and all wood surfaces are sanitized. All the mirrors (there are a lot) are cleaned and shine. We supply RV toilet paper, paper towels, plates, bowls, small plates, solo cups which all need to be refilled after each rental based on how long the next renters will be gone and how many people will be traveling in Dora. The dish washing detergent holders are refilled and the hand cleaning soap in the bathroom is filled. I was almost finished this post and then realized I didn’t even mention that I mop and vacuum everything when she comes back. We make sure that everything is working like it should. If something was broken during the rental, it needs to be addressed before the next rental. This includes, all the drains, all the faucets, all the appliances including the washer/dryer, the built in vacuum system, all the televisions, the satellite system, the awnings, the fold out beds, GPS system, rear back up camera, and more. The outside is a whole different animal to get cleaned! It takes Roy several hours to clean the exterior, tires, roof, windows, etc. Inside all of the storage bins are checked, always require cleaning which is very difficult and requires a lot of bending over and inside the storage bins to do it. I do that part which between the interior cleaning and the bin cleaning takes me two half days to complete. Before the next renter picks up Dora we work from the back in the bedroom to the front door getting her ready for pick up. All three bed sheets, pillows and bedspreads are put on all the beds. The bathroom and the shower are wiped down with Clorox wipes. All the kitchen surfaces, sofas, dining table, drivers and passenger front seats are all wiped down with the wipes. The entire drivers area dashboard and instrument panel is cleaned thoroughly. Moping and vacuuming is done again. There is more than this to take care of but I’m tired just writing all this so! Roy always cleans anything on the exterior and tires that may have gotten dirty since the last rental. Since she’s been back and forth to Dixie RV in Hammond each time after she rents she always comes back with some dirty spots. We’ve had things go missing over the course of the first rentals. Our really nice fold up stainless table left, just found out that the First Aid Kit left, a towel left also. We’ve found some little treasures (a new floor mat, kitchen utensils, basic tools, etc. ) left behind for us by renters as well so that’s cool! When you see that we charge $150 for Prep and Sanitization I hope you can see it is well worth it. I keep a folder on each rental with all of the forms, ready for them to sign when picking Dora up. That means monitoring the website for when the forms are ready, down loading them to save in a folder on my computer just for their rental, printing them out, and assembling them for the folder. In addition to Dora being listed on RVShare.com and Outdoorsy.com, we now advertise her (for free) in several Facebook groups and on Facebook’s Marketplace. My son Chip helped me a lot setting up the Facebook groups. Now I just answer any questions that come in about it. It does require a little work every few days. We’ve learned so much and feel that we have improved all we do taking care of Dora and having her ready for renters. We’ve learned more about what we need to teach them and what we need to emphasize to them in their training, and what we expect from them as renters. If we didn’t include so much “free” with a rental (sheets, towels, shampoo, kitchen utensils, small appliances, toilet paper/paper towels, dishes, cups, outside chairs and lots more) our work would be cut by a lot. However all that seems to appeal to a lot of the renters and was probably one of the deciding factors in their choosing Dora to rent. We’ve started giving our renters a survey when they return. We want to get an idea of what attracted Dora to them in our listing, what they liked most about traveling with Dora and what they liked least, and some other questions. We give it to them in a stamped self addressed return envelope to encourage them to return it! We are definitely in the learning phase so this information has been helpful. When we started this I thought what we were charging was awfully high but we now know that our rate at this time is low for renting out a big Class A motor home. When we have a little more experience we will adjust our rate so that this wild and crazy ride we are on becomes more profitable. I never thought I’d ask for prayers for a motor home but Dora needs to behave and she seems to be turning in that direction. Please pray for Dora and for us! We love her and she’s loved us. This hasn’t started out quite like we hoped it would but we’ll keep trying! That it for now folks on our experiences renting out Dora! I plan to share this with other folks thinking about or already renting out their RV (whatever type) to others. The young men who have her right now said they will send photos we can share of their time at the race track! Thursday, October 11, 2018 – This one is pretty long. Three rentals covered in one blog post. Buckle up and let’s go! The sweet couple that we now call our friends, picked Dora up in late July. They came twice for their training and it very much paid off in the fact that they didn’t damage Dora in anyway! They took excellent care of her even when she acted up. Their party included the couple, her sister and their college age daughter and boyfriend. I think their time with Dora didn’t go down hill until around the second or third day. Before they even left our home with Dora she started acting up. The master bedroom slide out wouldn’t come in so they could get on the road. With them sitting there for a couple of hours Roy tried everything he knew of to get it fixed. I enjoyed talking with and getting to know the dad and his daughter’s boyfriend while my hubby frantically tried to fix it. After calls to Dixie RV and to Berryland Motors he learned from Berryland that there are fuses that are hidden in one of the outside compartments. Never knew that before! Those fuses control the slides. After replacing that little bitty fuse everything worked fine and they were able to leave with Dora very happy. This wonderful family bought some extra fuses just in case. They are now stored very safely inside the motor home to hopefully never be needed! They also experienced the back up in the toilet due to paper, poop, paper poop, paper, poop with little water. This happening again lead us to add very graphic warnings in our instruction manual to not do this. It’s also now in our rental contract and as part of the in person training they get in all things Dora. We now call it “toilet training.” Since all of that has been implemented there haven’t been any poop backups. Sadly, this couple had to bring a hose through the bathroom window from outside. Put it in the toilet and push everything down. This was just the beginning of these wonderful people’s experience with Dora acting out. Next we received a call from them saying that Dora seemed to be slowly losing power as they were driving her. None of us knew at that moment how that would affect their trip or our pocketbook. They brought Dora to Mid America Diesel in North Platte, Nebraska. They wound up living at Mid America Diesel in the repair shop for three days . Roy was in touch with the husband and the repair shop several times each day. Finally it was determined that the injectors in the engine had failed. The initial price quoted to us was over $5,000 but the shop took the time (good for us financially but not good for the renters who had to stay there longer) to figure out that only 3 of the 6 injectors had to be replaced. Including labor the final bill was $3,500. This is almost twice what we made off of that rental. Are you starting to see why this has not been profitable for us!? Roy and I were so upset that yet again Dora seemed to be trying to spoil someone’s vacation. I know it sounds odd to say that we felt that Dora was acting out because we weren’t living in her and she didn’t know the families she was going off with. Once she got to know the families and did her thing to put a huge cloud over their time with her, she seemed to come out of it and allowed them all to have a wonderful time on the road with her. We’ve heard from all the renters that they love Dora. Even after the first renters who had a very upsetting accident, the second couple who put up with stink, poop, and a lot of hard work on their part, and this third couple who lived in the repair shop for three long long days. They all ended up saying they love Dora. That makes my heart so happy to know! We told the third renters (with the power problem) to ignore our 4 hours of free generator use a day and use as much as they needed to. They left the repair shop August 3rd to head north and finally begin the happy part of their vacation. We offered three additional days at the end of their scheduled time. They ended up using two days and we refunded them for the third one. The final disaster for these guys was when the water heater stopped heating the water a few days before the end of their trip. It would not work on electricity or gas. After trying everything Roy knew over the phone they just weren’t able to use hot water for the last few days. Figuring it was the control board he ordered a new one before they got back and a thermostat kit. Not cheap. Once Dora was home Roy decided to do more trouble shooting before changing the control panel to figure out what was really going on. It turned out that the control board was not getting power and he found another fuse that was blown. That fuse was in a place he never thought it would be. After changing the fuse, little bitty fuse, everything worked fine. Thank goodness we were able to return the control board but we did keep the thermostat for possible future use as that part has gone out before. When the first couple of renters lifted the bed to get to the storage underneath, some circuit breakers would trip when lowering the bed, if not lowered very lightly. We got calls from them saying electrical things weren’t working all of a sudden. At some point Roy changed all of the circuit breakers in the fuse panel inside as a precautionary measure. I think that was before this rental but didn’t want anyone to have problems in that respect. More money gone, just in case!! My knee surgery was done one of the first days of their trip. Knowing that I’d still be recovering when they returned, the wonderful wife (with help I am sure) cleaned our motor home top to bottom, washed, dried and folded all of the sheets and towels. She said she didn’t want me to have anything to do since I was recovering. What a kind, kind lady she is. They were so intent on cleaning everything that they left lots of clothing behind in several of the drawers! That was kinda funny! This families positive spirit was woven into every aspect of all they went through, and in all of our conversations and communications since they returned from their trip. We quickly became friends on Facebook and yet again they are a special amazing family whom we are happy to say are new Christian friends. When Dora came back she again went to Dixie RV to try to get more of her work done from the accident. Dixie had to actually see the awning to get ordering information off of the awning since now it needs to be totally replaced. There are other parts and other painting to be done. She was there several days but no actual work was done. At least the information needed to order the awning was obtained and that is now on order. I haven’t said this before but as all of this mess has been going on affecting our renters, every time someone sent an inquiry about renting or actually booked their rental Roy and I started saying to each other. “Well we have another family whose life we can destroy.” Not us obviously, but it seemed Dora’s bad behavior was getting worse and worse. The next renters were two young couples with three little children. The two dads came for their walk through right before Dora went to Dixie RV the second time. I was so thankful that the third renters had cleaned Dora so well that I didn’t have to do anything to show it to them. These two young men paid attention really well and really took seriously learning about Dora. We did have a couple of calls from these renters. The first was a simple question about the air conditioning. The second was that Dora’s front left jack wouldn’t retract which meant they couldn’t move from where they were. Over the phone Roy walked them through manually retracting them. The rest of their trip, according to them, was quite enjoyable! And even with three little children they didn’t have any problem with the toilet back up problem. Yay, no one’s life ruined on that one! Since the jacks are important to the stability of Dora when she is parked, the one that wasn’t working had to receive a lot of Roy’s brain power and hours of hard work to fix it on his own. He couldn’t and several hundred dollars later (yes for just one of four jacks) the new jack arrived and Roy spent time replacing it. Next Dora went with a young man, his girlfriend and a couple of friends to a football game out of state, tailgating. Our first tailgating rental, our first Outdoorsy rental, our first delivery and pick up of Dora. Nothing bad happened to them. They did however switch out our outside television for their larger television and destroyed the HDMI cable. They were charged for that and for Roy to repair it. That repair turned out to take much longer than it should have but it is fixed, thanks to Roy’s crazy fix it skills! That rental was a great example of someone not understanding motor homes and misunderstanding things because of the lack of understanding. Their review of Dora was less than stellar even though they didn’t have any real problems. When they left with Dora I think there were four people in the motor home, when they returned there were at least 10 people exiting Dora with lots of baggage, ice chests, BBQ pits, tents, etc. Wow, we did not expect that! At least no one’s life was destroyed on that one also! We’re on a positive roll now! Next I’m going to share more about lessons learned and where we stand with renting Dora in the future! Wednesday, October 10, 2018 – Here’s another lesson we’ve learned in our renting out Dora experience. Renting can put lots of mileage on the motor home. When we purchased Dora she had approximately 9,000 miles on her. When we started renting out Dora she had 38,789. That means that in five years of traveling Roy and I put 29,789 miles on her. The amount of mileage that Dora now has on her is 50,780. That means that in four months of rentals she had approximately 20,000 miles put on her. We’ve reduced the number of free daily miles from 250 to 150 because of this lesson learned. Also, hoping to compensate the renters for the time they lost from their vacation, we also gave away a lot off free miles. We gave away several free days to two couples for the same reason. Another lesson is that renting can put a lot of hours on the generator. When we purchased Dora she had approximately 1000 hours on her generator. When we started renting out Dora she had 1559 generator hours on her. That means that in five years of traveling Roy and I put 559 generator hours on her. The amount of generator hours that Dora now has on her is 1892. That means that in four months of rentals she had 333 hours put on her. We’ve gotten reimbursed by the renters for only 60 hours. First because we give them 4 hours per day free and second we gave a lot of free generator hours to the renters when they were living in the shop with the motor home and other reasons. Trying to make up for the problems our renters had has cost us a good bit in mileage, free days and generator hours. Okay, on to the second renters. They were a couple who went with Dora up to the uppermost north east portion of our beautiful country. Their trip was about 16 days long. I really don’t remember how soon after they left that Dora started acting up. Roy and the husband had many phone calls about the toilet backing up. Those who are not familiar with RV toilets and black tanks here’s the first thing that happened. When you poop you HAVE TO add water to the toilet bowl before and after the poop so it doesn’t land right at the bottom of the pipe in the tank. If that is not done repeatedly and if like people do like they CAN do in a house which is use a lot of toilet paper you have a pipe that is eventually filled with paper, poop, paper, poop, paper,poop. Then some one screams out of the bathroom, the toilet won’t flush. Even if the black tank is emptied and flushed, the column of poop and paper has gotten hard and you think you emptied and flushed but you didn’t affect the column of paper and poop. The first calls from those renters were about that and they finally got it to go away. Seems it started when the first renters had her and even though we thought it emptied (you cannot see inside the tank) and we put water in it to finish the cleaning, we didn’t know it had done no good. Over the first few days of this 16 day rental the renters had to purchase some tools and other things to fix the poop problem and the next problem. The next problem lasted for a few days. The kitchen sink, the bathroom sink, the bedroom sink were all backing up and these renters were greatly inconvenienced. GREATLY! They tried their best to fix the problem themselves, buying unstopping merchandise and tools. While they were working on it from their end, we were searching frantically for a Mobile RV Repair service in their area. The renters were traveling towards Pennsylvania each day so when they settled down in an RV park we called that RV park’s office to get repair service recommendations and we called everyone in that area we could find. Some services couldn’t come out for a few days. We were so frustrated at not being able to fix it ourselves or get someone to them quickly. We F I N A L L Y found a wonderful man, John LeFevre, at LeFevre’s Mobile RV Service from Quarryville, Pennsylvania. John came out the afternoon we had called him in the morning. He did a lot of checking and work over a few hours. The end result was that there was a clogged pipe in one of the walls. The most awful things were in that clog. He cut a big chunk of the pipe out of the wall and replaced it with nice clean unclogged pipe! We started about two years ago using these little wire strainers in the sink hole to capture things from going down the drain since there isn’t a garbage disposal. That didn’t stop small amounts of butter or grease from going down the drain and joining the clogged “stuff”. Over the 13 years of Dora’s life it all built up, sadly I’m sure we contributed ourselves to the clog over the years. We just never had the “indications” they did. Sometimes the drain would drain a little slow but that always went away for us. It didn’t go away for our renters and became a huge nightmare for them. I cannot imagine what it was like for the second renters to go through all that. Once the initial disasters were behind them their trip was amazing and they saw so many magnificent things along our countries east coast and then back down to Louisiana. Then the finishing disaster for their trip was when the driver’s side slide out would not come in. It’s motorized and usually just takes the push of a button to bring it in. The renters were leaving the RV Resort they stayed in and needed the slide to be in before they could get on the road. Roy got “that call” about the slide. He asked them to get some people to help push it in manually while they pushed the button inside. Once the slide was in Roy asked them not to use it again for the rest of the trip which was just a couple of days. When Dora came home the slide worked fine but we had already purchased an expensive slide motor and Roy changed it as a precaution. So much that has happened with Dora are things Roy could have handled easily, or easier than how it had to be handled since Dora was far from home. It also would have been far less expensive if Roy could have been there to fix it. In summary, between the poop buildup and the sink plumbing clog the first few days were stinky, smelly, gross days for these renters. Roy could have handled all this if we were there but we were so far away we had to pay someone to do the “dirty deed.” We gave the renters extra days on the rental, offered to pay for everything related to the problems plus a wine bottle opener they wanted! We did not charge them any overage fees for the miles they drove above our free miles (and this was back when we were giving 250 miles a day free) and right now I can’t remember if there were more things we provided. This couple own a business and as business owners they wanted to help us improve the experience that future renters had. They left a list of a few suggestions and a couple of minor items that needed to be fixed. We appreciated their recommendations and were able to implement almost all of the suggestions and Roy got all of the items on the “to be fixed” list completely taken care of. The two week rental that cancelled because of the first renters accident would have been the next rental. Because they cancelled we were able to get Dora into the shop at Dixie RV for the first of her repairs. The majority of the damage was all along the passengers side. That is beautiful now! The rest of the repairs will be done when she has some more down time. I am writing this while the fifth renters have her so we know now that she’ll go into the shop on September 6th and stay until everything is finished, we hope! Note: This was written a few weeks ago and since that time no she hasn’t been completely finished. Today is Tuesday, October 9th and we are going to pick her up from Dixie RV this evening for what we believe will be the last time, wrapping up the work from the accident. The second two week rental that cancelled had a very understandable reason and they were able eventually to re-book for the same two weeks plus that they originally booked. We originally met that couple several weeks before when they came to check Dora out. We visited with them long after the Dora tour was over and found we had many, many things in common and left that day knowing we’d made new friends! I can see now I’ll have to write about Dora’s travels much sooner after they occur because there is so much I’ve forgotten. Next up will be the couple I just called new friends. Their time with Dora didn’t start off great either. She again acted up, causing them much distress and trying to break our bank. Tuesday, October 9, 2018 – We’ve had five completed rentals. We have six future rentals. These are booked and paid for (to the company) rentals. We require that everyone renting Dora come to our house to have a thorough training on all things Dora and a test drive before the rental. At first we did not realize that they were not insured while driving our motor home before the rental. Now that we know that, we still have them come to our house to have the training but on that day Roy drives and explains it to them. That visit takes between 3 to 4 hours. Dora has a lot of special features that need to be understood. On the day they pick Dora up for her rental they have to drive her with Roy to learn how our Big Girl needs to be driven. That day we also go over with them things they had questions about since the original walk through. Our first rental was booked for one week within a few days of when they were leaving. This rental was to a family including a young woman, her adult daughter and the young woman’s senior aged mother and father. They were so excited when the young woman and her dad came for the walk through and test drive. Dad was the driver and his test drive went well. They came back for the first day of their rental to pick up Dora with her daughter and mom. Mom spent Christmas and weeks afterward in the hospital so this was the young woman’s way of allowing her family together to create memories. Off Dora went with them towards the north east. While at our doctor’s office during one of my A1C check appointments we get a call from the young woman. There was an accident. In downtown of a large city they were trying to pull in front of a parked tour bus to park Dora along the curb. They got too close to the tour bus and pulled off the the tour bus’ driver side mirror. The tour bus’ mirror did damage all along Dora’s passenger side, crushing the fiberglass in a couple of places and ripping off the main awning arm. She sent us photos of the damage. So now we had forms to fill out and insurance claims to file. Dora was easily drive-able so they went on with their trip which was one week long. I started to describe what it was like when they got back but I think you can imagine how awful they all felt and how it sadly affected the happy time they wanted to have. We were contacted the next day by the insurance company (renters are required to purchase insurance through RVShare – thank goodness!). who asked for lots of documentation, some of which we got from the renter and we provided. They asked for lots of photos which we provided. Ones from right after the accident and ones from when got got home. The renter had the police report sent to us and that was sent along to the insurance company. A very very nice lady at the insurance company worked with us and the adjusters were able to come up with a preliminary payment from all the photos. She said that once Dora got to the service center any additional costs will be considered. We got a check for the preliminary damages about a week after she came back. The deductible on RVShare’s insurance is $1500. A lot of people set their security deposit at $1500 to make sure that deductible is covered should an accident happen. We decided to go with $1000 since the$1500 seems like it would stop some people from renting Dora. Thankfully the renters who had the accident paid the additional $500 and the entire $1500 was returned to us to go toward the damages. It’s incredible how much it costs to repair Dora but thank goodness for insurance. Dora’s colors are black, grey and silver. The damage where the fiberglass was crushed was mostly in the grey area between the living room window and the kitchen window. Roy got some new grey duct tape and made two large bandaids for Dora. Like I said Dora was still drive-able and the only noticeable damage was where the duct tape was. The primary very large awning could not be used but when Roy found out that the next renters really wanted the awning he spent from very early one morning to very late that evening making parts and doing all he could so that the awning could be used. Only Roy’s amazing capabilities got the job done the night before the next renters picked her up. The next renters were originally scheduled to leave THE DAY AFTER the first renters came back. Yes that was a bad mistake we’ll never make again. We told the renters about the accident and worked with them to move their start date back one day to give Roy the chance to get the awning working – not fixed but working. By starting one day later they got the day back at the end of their trip which turned out to help them be in Texas for an important doctor’s appointment instead of coming home to Louisiana and driving right back to Texas in their car. More about their trip next time. We thought it was only fair to let the next two renters know about the damage. The next renter cancelled. The following renter cancelled but for a different legitimate reason. The second cancelled rental was reinstated and that family came back from their vacation a few weeks ago. So, while the first renter’s accident was covered by insurance we lost a $2000 subsequent rental because of that. We really, really liked the family involved in the accident and without getting into detail it really affected them all. They left us with some Blue Bell ice cream which we loved! It was our first rental and it didn’t turn out at all like we hoped it would. I learned again to appreciate my husband’s crazy repair skills and we appreciated the next renters working with us to move their trip back a day. But since we lost that two week rental that gave Dora time to go to Dixie RV to have the damage on her side fixed. They weren’t able to complete all the work but the major damage looked oh so much better! Somewhere before the accident and when we knew we had four rentals booked we decided to purchase for our empty house a television, a piece of living room furniture and a king size mattress and box springs. We had no furniture when we moved into our house other than what Chip loaned us. The loss of the two week $2000 rental caused the credit card charge to stay on our credit card. And the fun starts! One of the main reasons we decided to rent Dora was so we could get the monthly note paid by the rentals and still have her for us to use when we wanted to. The other option (besides renting her) was selling her so we were happy when we learned about renting her. Next time I’ll share about the problems Dora gave the next couple at the beginning of their 2+ week vacation. I can see now that this will not just be three parts. I won’t even try to re-estimate, just know that Part 3 is next! Monday, October 8, 2018 – Roy and I have learned so many lessons since we first found out we could rent out Dora, our motor home. I’ve been hesitant to share it all here but after a lot of thought and a desire to not mislead people to think that it is all perfect and lots of money coming in I decided to go for it! Since we first listed Dora almost every one of the prices, and stipulations above changed. We learned from others and from our own experience. What I listed above is the most recent version of all of those decisions. Our first few renters had different fees than this. One of the lessons we learned was that when you provide 250 miles free every day and someone takes her on a two week long traveling vacation putting over 4000 miles on her (when we only put 4500 on her all of last year) that is a lot of wear and tear on our motor home in a short time. I’ll share other lessons like this one in future Renting Dora posts. Each of the companies hold out a commission. RVShare’s commission is 25 percent and with them the renter is charged separately for their insurance. Outdoorsy’s commission is 20 percent charged to us and 10 percent charged to the renter which covers their insurance. First thing we learned is that when we rent our motorhome through one site we need to show the same dates as unavailable on the others. All of our rentals at first were through RVShare.com. We thought about deleting our listing with Outdoorsy but we now have two bookings through them. Outdoorsy and RVShare have Facebook Owners Communities that we joined and have learned a ton from that. Bad and good things that happened to owners with their renters. After having two rentals that booked back to back we learned the importance of blocking out a couple of days either before or after a rental or both to get Dora cleaned out, linens washed, exterior cleaned, and basically sanitized. All three of our first renters have returned Dora very clean inside and we appreciate that so much. The second to last renters knew I had knee surgery and got Dora spotless so I didn’t have to do anything. Thank you, thank you to wonderful RJ who did that for me. Before she goes out again this Friday, there will be beds to make up, things to re-clean from her being in the shop, vacuuming to do and replenishing all of the things we offer for free. Roy has cleaned the exterior himself each time which takes him several hours. Like we’ve said many times Dora is a Big Girl so she takes a while to get clean! I’m thinking this will wind up being a three, maybe four part blog post since there is so much to share and oh so many lessons learned! We’ve shared everything with just a handful of folks. That was a little bit at a time as things happened. You’re going to get this pretty much a lot faster than it actually happened so hold on to your seats! I’ll be back soon with more! I’m not going to use names of our renters, that wouldn’t be right. I will call them first renters and relationships within the group. No details of exactly where they went or saw but enough so you can understand. That’s it for today. Dora has been sitting at Dixie RV for a week now and we just found out that mostly nothing got done. One thing was ordered for future installation but more on that when we tell you about the first renters experiences. I do not plan to paint Dora as a model motor home. It’s become quite clear that she has some serious issues with us letting other people take her on vacations and us moving out of Dora and into the house. Just like a child who doesn’t like something, she’s behaved quite badly. You’ll see all that become clear as I write more. 07.16.18 What’s Dora Been Up To??? Monday, June 16, 2018 – Our sweet girl, Dora (our motor home) went out on her first vacation without us in Mid June. A sweet family from New Orleans took her to Tennessee and Arkansas where she enjoyed a week with them. When they came back they left us with Haagen Dazs Mango Sorbet, Blue Bell Peaches and Cream, Blueberry Eggos, two white nectarines and two bags of river rocks for me to paint!!!! I’m kind of looking forwards to the renters returning from now on! The bar has been set high!! I’ve painted rocks for each family of renters and gave them theirs when they brought Dora home. I hope to have many painted rocks give to renters over the next months and years! We had a 24 hour turn around before Dora left with the next renters on a trip all the way up to lobster country in Maine and New York before coming back through Texas and arrived back home on Thursday evening. Theirs was a 17 day trip. When leaving for home at the end of their reservation, these renters said how much they will miss Dora and that she was a big flirt with the big rigs!! They too brought me some rocks that they collected along their vacation for me to paint. These renters own a successful business and were kind enough to give us some very useful suggestions of things we can add to our free list to make future vacations even better for upcoming families. Dora leaves our home here in Amite Monday morning for the beauty parlor at Dixie RV in Hammond. Here she is with Boots hooked up to her once again. We have almost two weeks before the next renters arrive to take Dora out west for 14 days. We’ll probably show before and after photos when she’s finished with her appointment. They kept her today at Dixie RV to do what work they can get done before she’s needed back on the road. When we left I asked them to please take good care of our girl! We are learning so much about this RV rental business with each reservation. One thing we’ve learned is that we are making some lifelong friends with the renters who are getting to live in Dora during their travels. We have gotten to know them well enough that we know what their prayer needs are. They are prayed for everyday now. We’ve added to what we provide our renters, a small ironing board and iron; bath towels, wash clothes and hand towels for six; a big trash can for the kitchen with bags; and shampoos for the dispensers (salon quality, kids no tears and head and shoulders). I’d like for it to be very easy to take a trip with our Dora. The less they have to bring the easier it will be on them. Bring your clothes, your camera and some food! That’s where we’re going with this. We learned that while we thought the price we started out asking per day was a lot, Dora is worth much more than that per day, so her price has gone up. 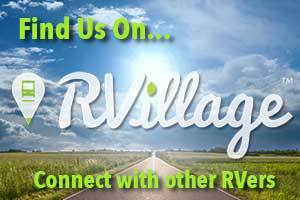 There is an RV Owners Facebook group page for both companies we have Dora listed with. That’s where a wealth of information is available and someplace I check out each day. All of our rentals except one have been through RVShare and that one exception is a three day weekend rental with Outdoorsy. This three day weekend rental include our first delivery to their home and pick up from their home so we’ll learn from that first. If the three day weekend thing (she’s going to an LSU game) turns out well we may put together a three day football game package to attract rentals for those. That’s what Dora’s been up to and what her near future plans are. The video below has nothing to do with RVing but I found it so fascinating I had to share! While we were in Hammond today I saw my family doctor, Dr. Hugo Valdes for a knee surgery preop and also to have my a1C checked one more time. I T I S 6.9 W H I C H I S A M A Z I N G T O M E!!! I give God all the glory for working this very amazing miracle in me! !